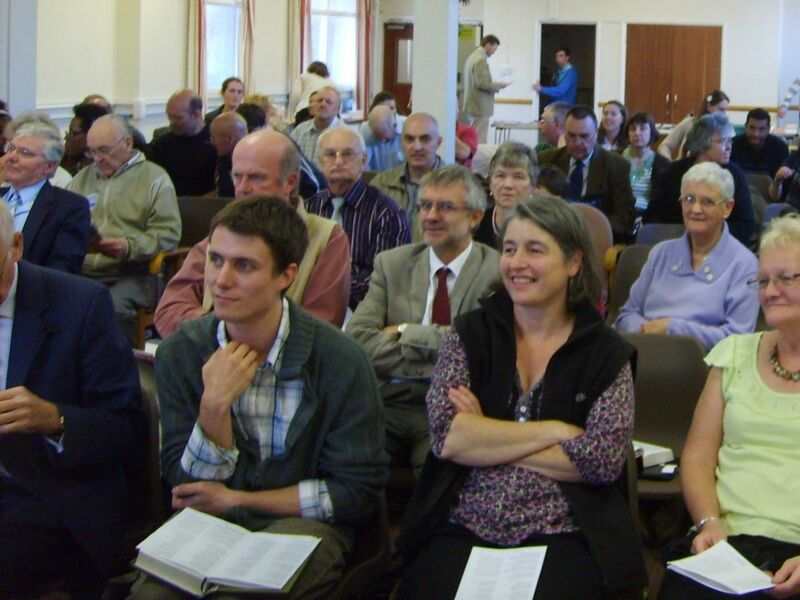 The conference was held at the Emmaus Church Centre in Warrington, which had been kindly lent by the Orford church. The facilities are superb. We have to say thank you to the ladies from Chorlton Evangelical church for looking after us throughout the day. The theme for all the GGOJ conferences is “Building Biblical Churches for the 21st Century” and that theme was evident throughout this year’s conference. It began on the Friday afternoon with a seminar for church leaders led by Andrew Swanson. Andrew has a lot of invaluable insight to share since God has blessed him with over 40 years of service. All those who attended were greatly challenged and appreciated his honesty. 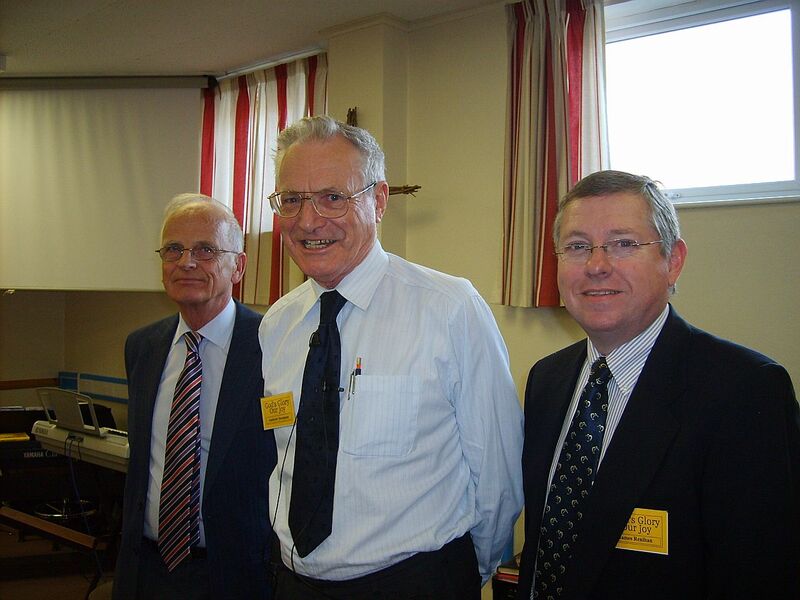 The evening meeting, which was open to all believers, was addressed by Doctor James Renihan, Professor of Historical Theology at the Institute of Reformed Baptist Studies, Escondido, California. This was entitled “The Church: A Society of Love”. He spoke from I Corinthians 13 and related this to the problems faced by the church in Corinth – the key to solving their problems was love. Saturday began with, “Building Biblical Churches in a Fragmented Society”; the speaker was John Hall, Grace Evangelical Church, Westerleigh. If you weren’t present at this meeting, then you MUST hear this challenging and dynamic message for yourself. John used Nehemiah 2 to remind believers that we must present the whole Word of God to new converts and do this by using lively preaching, not music, drama etc. He greatly encouraged us by reminding us that we as reformed people have a simple doctrine that fits right into every society – because we have the Bible and we are saved by grace and saved to serve! In the afternoon John spoke on “Building Biblical Churches in an Aging Society”, again with great passion and he offered many practical tips as to how we as the local church should be serving our increasingly aging society and how we need to recapture the respect and honour for the elderly that is clearly evident in the Scriptures. After morning coffee, Doctor Jim Renihan gave his second paper. It had the title “The Church: A Society of Peace” and we read Matthew 5:1 -12, with the focus being on verse 9. Again all of us were left with many thought provoking questions – are we passive or active peacemakers? How do we deal with people who irritate us? Do we seek to speak words of comfort to those in need? We need to make every effort to live in peace with fellow believers now since God has elected each one of us and we will spend eternity together! In the afternoon Andrew Swanson gave an amazingly succinct and full report on serving God for 25 years in the Middle East. Afterwards he closed with the conference sermon. We read Nehemiah 12:27-43 and Andrew reminded us that we should be dedicated thankful followers of Christ and worship Him in the way that God has commanded. Plan to attend next year’s conference which will be held 13th -14th October – it was such a joy to be there. The teaching was excellent and I think we all went away challenged as to how we should change as a result of what we had heard. The fellowship with other believers throughout the day was also extremely refreshing and worthwhile.